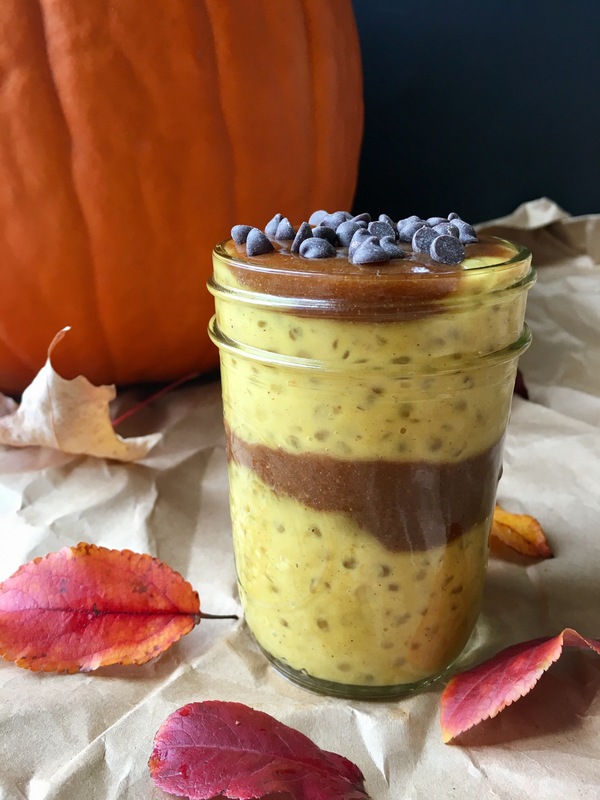 Are you tired of pumpkin recipes? Not yet? Good! Because I have an insanely easy recipe for you today. 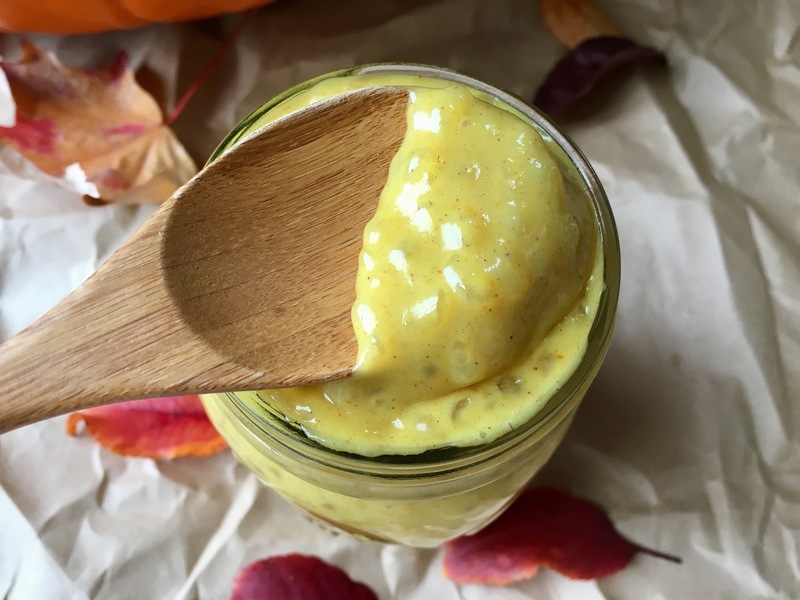 I almost didn’t share it because it is so easy and tapioca pudding isn’t anything new, but my family enjoys this so much that I decided to type up a little post for it. I meant to share this earlier in the week, but I got wrapped up in the WORLD SERIES!!!! What an amazing Game 7! We are over the moon that the Cubs did it!!! My family and I prefer eating this pudding warm, right off the stove with a little caramel sauce swirled in. Optional: vanilla bean powder (or extract) or ground cardamom. * For an even creamier option, use coconut milk instead of water. I use Trader Joe’s organic canned coconut as it doesn’t contain any gums/thickeners. I don’t recommend using lite coconut milk. In a small pot, combine the tapioca pearls and water. Allow to soak for at least an hour. Do not drain the water – add the remaining ingredients (except if you’re using vanilla extract) to the pot and heat over medium, stirring frequently. Once the mixture begins to lightly boil, reduce the heat to low-med and continue to cook until the pearls are translucent, stirring often. This should take about 10-15 minutes. Once the pearls are translucent and the mixture has thickened, remove from heat. At this time, you can add in vanilla extract. You can eat this warm or cold. It will thicken even more once chilled in the fridge. Top it with extra cinnamon, a sprinkle of coconut sugar, chocolate chips, cardamom, coconut whipped cream, or our favorite…Natalie’s Caramel Sauce!! Love those Cubbies!!! Thanks, Mandy! Been wanting to make your tapioca pudding and Natalie’s caramel sauce. Love you! I need to play around with tapioca pearls more! This sounds like it would be lovely warmed up! Definitely my choice over cold! Haha! I had hopes to add in another layer of goodness here (an AIP brownie), but that recipe was a fail…still working on it. I hope to get the hang of this grain-free baking soon! 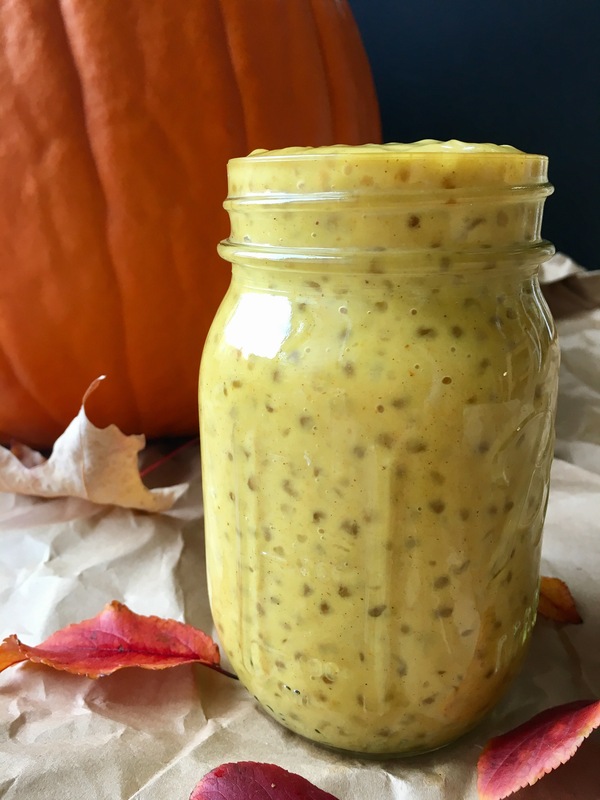 I don’t think I’ve ever consumed so much pumpkin before – it’s been a lifesaver this season! My hubby loves tapioca! This totally has his name all over it. And congrats to the Cubs! What a series! Up until a couple of months ago I forgot how good it was! Haha!! Such a simple, quick treat 🙂 Right?!?! So stressful to watch, but amazing! Me too! I forgot how good it is and now I’m making it all the time!